*Test car suffered from a defective fuel-filler shut-off valve, preventing our editors from fully filling the fuel tank. 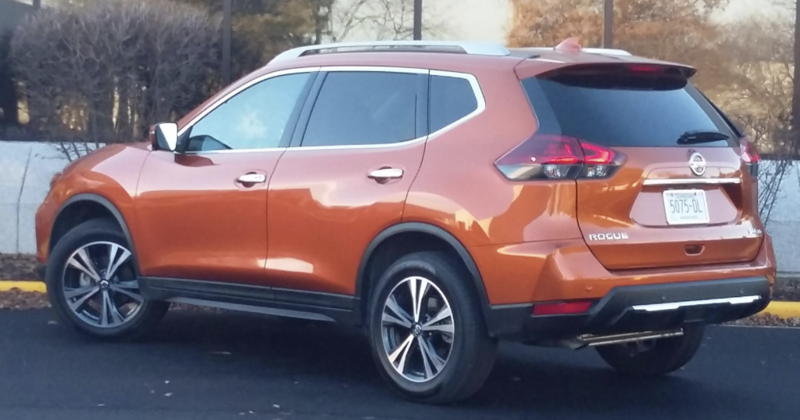 A similar 2018 Rogue returned 24.7 mpg in routine driving. Nissan’s Rogue is riding high on the wave of popularity enjoyed by nearly all crossovers of late, now standing as the company’s best-selling vehicle — and among the best selling in all of autodom. For 2019, it offers numerous high-tech safety features including new Rear Door Alert as standard equipment, adds rear obstacle detection and rear automatic braking to mid-line SV and top-line SL trim levels, and expands availability of its semi-autonomous ProPilot Assist to the SV in two option packages while making it standard on the SL. Although formerly offered with either 5- or 7-passenger seating — the latter courtesy of a third-row seat — all Rogues now seat five, as the third-row option was dropped last year. Standard on the base front-drive S, which starts at $24,920 not including destination (AWD costs $1350 more), are such items as Apple CarPlay/Android Auto and individual tire-pressure readouts with fill alert, which gives notice when the proper pressure is reached. On the safety side, there’s forward collision warning and mitigation with pedestrian detection, lane-departure warning and mitigation, blind-spot and rear-cross-traffic alert, and automatic high beams. New for 2019 is Rear Door Alert, which detects whether a rear door was opened (in order to put something in, such as a child), and then sounds an alert to check the rear seat when you exit the vehicle. We’ve covered the Rogue recently in our First Spin of the revised 2017 lineup, along with test drives of a 2017 Hybrid and a 2018 top-line SL with Premium Package, which included ProPilot Assist. So we’ll use this opportunity to touch on some of the Rogue’s more notable features and capabilities. Left: Most vehicles display the blind-spot-alert light on the outside rearview mirror, but the Rogue’s is displayed inside, near the roof pillar — a location we prefer, as it’s closer to the driver’s line of sight, and wouldn’t be obscured by rain, ice, or snow on the window. Right: Included in the SV is a rather nifty-looking compass, which can be called up into the center of the instrument panel. What we tested this time around was a mid-line SV with the $3530 Sun & Sound Touring Package, one of the two offering ProPilot Assist. Added on the SV are 8-way power driver seat with lumbar adjustment, keyless access and starting, remote engine start, heated front seats, and motion-activated power liftgate. Besides ProPilot Assist, other elements of the Sun & Sound Touring Package include a navigation system, satellite radio, 360-degree camera system, heated steering wheel, memory driver seat, 18-inch alloy wheels, power panoramic moonroof, and Bose premium audio system — so quite a lot for the money. While all-around visibility is only fair, by far the worst offenders are the thick rear roof pillars that block the view to the rear corners. That was largely addressed in our test vehicle with the newly standard rear obstacle detection with automatic braking, along with the 360-degree camera system of the optional Sun & Sound Touring Package, which added front and side views (selectable by a just-slightly-out-of-easy-reach dashboard button) to the standard rearview camera. This is handy not only when backing, but also when pulling into a confined parking space or up next to a curb. Nice. Not only is the Rogue’s cargo compartment sizable, but the floor in back consists of two panels that can be set in several different positions, including vertically to segment off a smaller section so that stuff inside won’t roll to the front. Standard on the SV is a motion-activated hands-free tailgate, which adds a measure of convenience to one of the Rogue’s great strengths: a roomy and versatile cargo compartment. Nissan’s Divide-N-Hide Cargo System allows the two-piece cargo floor to be set at different levels to either offer a taller compartment, or a floor that’s level with the folded rear seat backs with copious amounts of storage underneath. (This thanks to space that had been allocated for a small third-row seat, which was dropped from availability last year.) The floor panels can also be set to different heights, one can be set vertically to form a defined area so that small stuff can’t shift around, and there’s even a compartment for wet items. Also nice. An easy-to-use control layout is another Rogue plus. The interior is highlighted by easy-to-use audio controls and a couple of handy console bins — one conveniently located under Aux/USB/12-volt plugs — along with nice materials and available two-tone color schemes including the rich-looking black/brown combo of last year’s SL tester. Although the Rogue also offers a hybrid powertrain, most buyers stick with the standard 170-horsepower 2.5-liter four mated to a CVT automatic transmission and either front- or all-wheel drive. While hardly a powerhouse combination, the powertrain still provides decent off-the-line punch (not always the case with CVTs) and quick kickdown response when the throttle is stabbed at speed (ditto). If there was a dynamic fly in the ointment, it was that the SV rode a bit stiffly over Chicagoland’s pockmarked streets, possibly due in part to the 18-inch tires included in the Sun & Sound Touring Package (in place of 17s). ProPilot can be engaged by first pushing the blue button on the steering-wheel hub, then setting the adaptive cruise control — pretty simple once you do it a few times. Two “traffic” conveniences of note were the Brake Hold function and the ProPilot Assist. 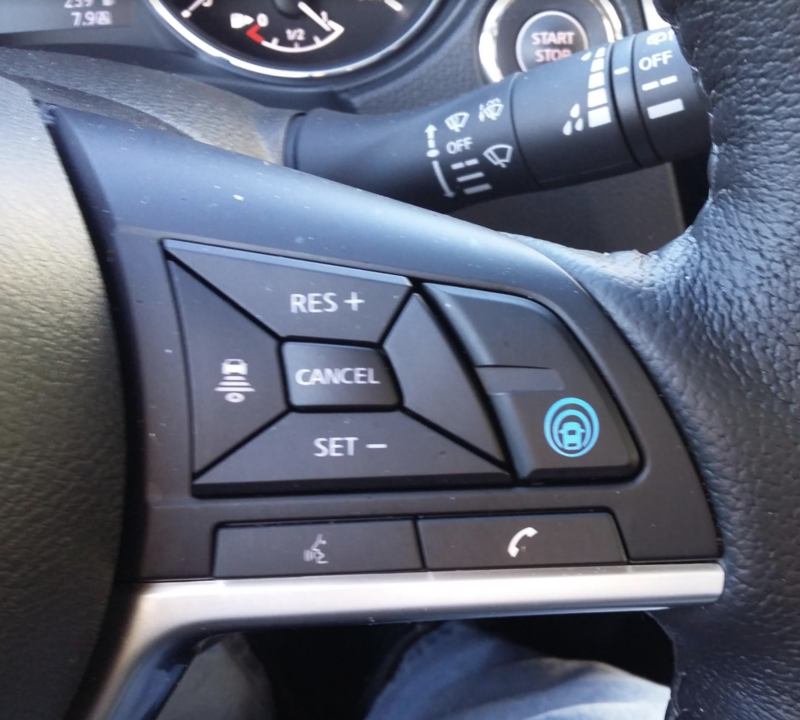 The former allows you to remove your foot from the brake pedal at long stops with the simple press of a console button — which not only eases leg stress, but also prevents the vehicle from accidentally creeping forward as your leg tires. And ProPilot is a great help in stop-and-go traffic, as it does the “stop-and-go” for you, since you don’t have to manipulate either the brake or gas pedals yourself. It also features lane-centering assist that — you guessed it — helps keep the vehicle in the center of the lane, though it has to be able to see stripes on both sides of the road in order to work, and you still need to keep your hands on the wheel. ProPilot is activated by the press of a steering-wheel button and another of the adaptive cruise-control button, and though it takes a few times to make it instinctive, it’s easy enough to do. 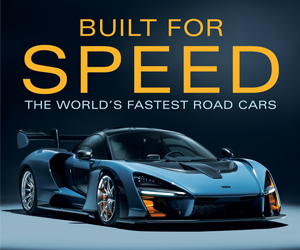 The only problem I noticed is that it tends to wait longer to apply the brakes than I would, resulting in the brakes having to be applied more aggressively — which may make for some exciting moments in the car following you. 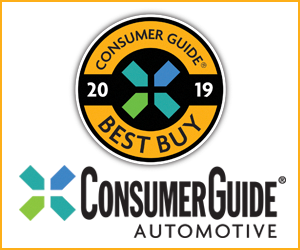 While there are a lot of great choices among compact crossovers — including the Rogue’s fellow Consumer Guide Best Buy recipient Mazda CX-5 and perennial favorite Honda CR-V, along with recently redesigned rivals such as the Toyota RAV4 and Chevrolet Equinox, and stalwarts like the Ford Escape — the Rogue continues to impress. While you’d probably be happy with any of them, there’s a reason so many folks choose a Rogue. In fact, probably several. One of the Rogue’s greatest strengths is that it really has no weaknesses, while adding the attraction of an unusually useful cargo hold. 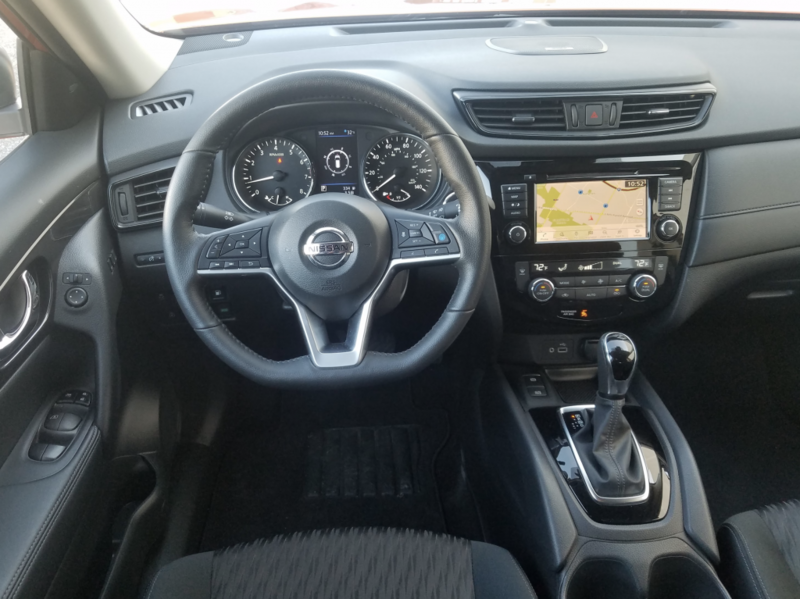 Even the base model comes with a strong assortment of high-tech safety features, and opting for AWD on any model adds a very reasonable $1350. Written by: The Daily Drive staff on January 22, 2019.on March 26, 2019.